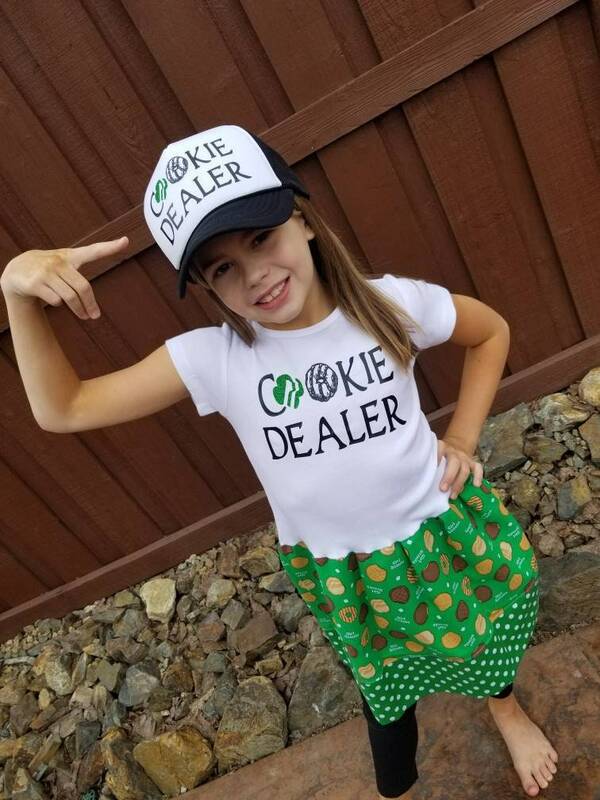 Cookie Dealer Dress. Girls dress. Girls Scouts. Our girls dresses run very true to size. We do not suggest upsizing without providing us your child height and weight first. 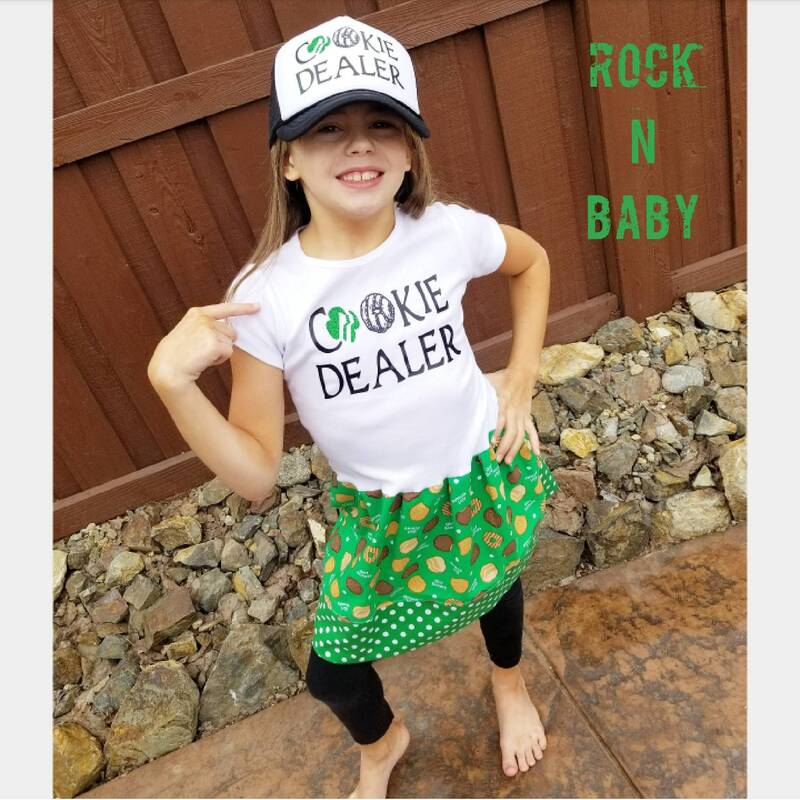 Child shown in picture is 9 years old, 62 pounds, 49 inch tall, and is wearing a size 7/8 youth small. 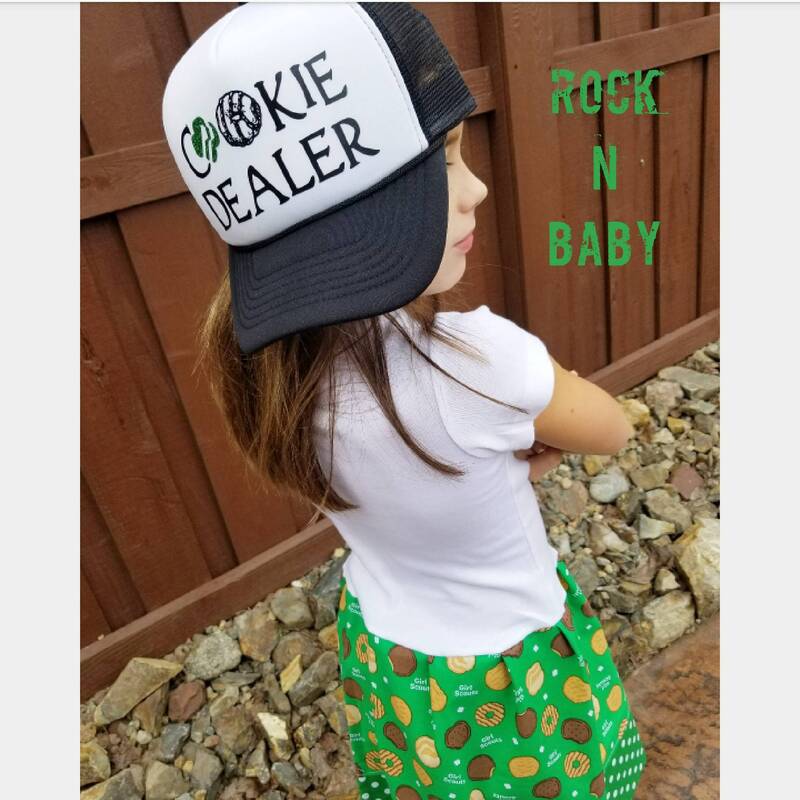 Youth hats will fit a child from 12 months old to 9 years old. Adult size hats we'll fit 10 years through adults.